Just as John McDonald, the charity’s director, was about to wave off the TUI Big Bike Riders from the company’s office at Gatwick on Friday morning 21 June his phone rang and BBC Three Counties Radio wanted to talk about holidays! 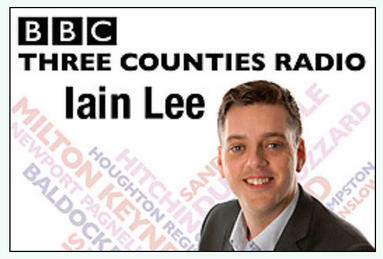 Three Counties Breakfast Show presenter, Iain Lee, wanted to talk about the price difference between holidays booked in the peak school holiday period and the much cheaper term-time. John McDonald talked about the importance of holidays and how they are an important part of the whole education experience a child should enjoy. Headteachers should be sensible about allowing families, particularly poorer families, to take advantage of the lower prices available during term time and (in England) they should not have the ability to allow children authorised absence from school taken away from them by Government.